As is our usual practice the past several years, we held Winter Field Day at the Nampa Fire Training Facility. Why? Because it is warm and dry and easy to get to. And because the Fire Training Facility is the city designated EOC we make sure we can operate out of there. 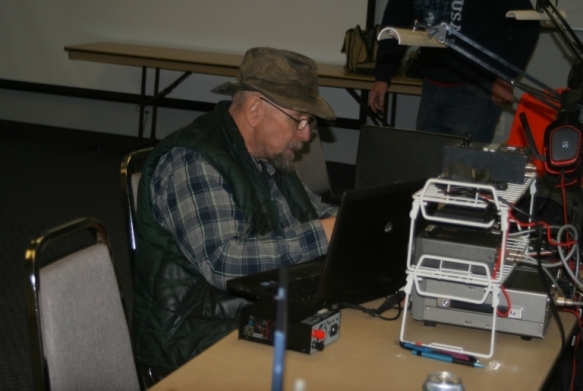 We set up four stations, all HF but only three were used all the time. Unfortunately, band conditions were, to put it politely, horrendous. All we had to work with were 20 Meters for a few hours during the day, 40 Meters most of the day, and 80 Meters for a few hours at night. 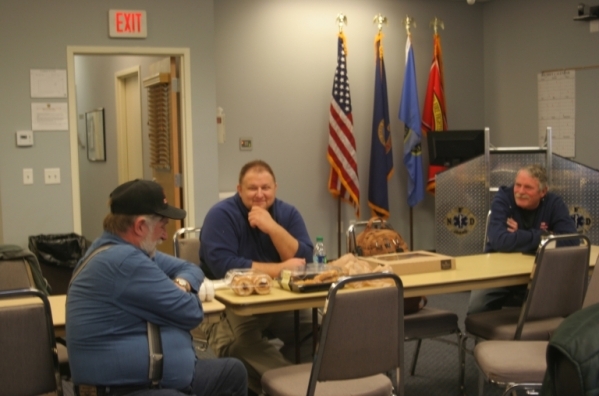 We had several visitors, one a new ham that got his license Thursday, Jan. 25. Congrats to Tony, KI7TMZ, for getting his ticket. 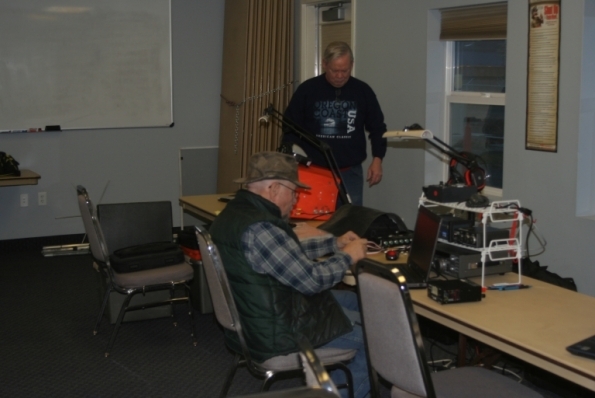 Other visitors included Bill, KD7FDW, Rick, KE7PNW, Deb, KE7TMF, and Steve. 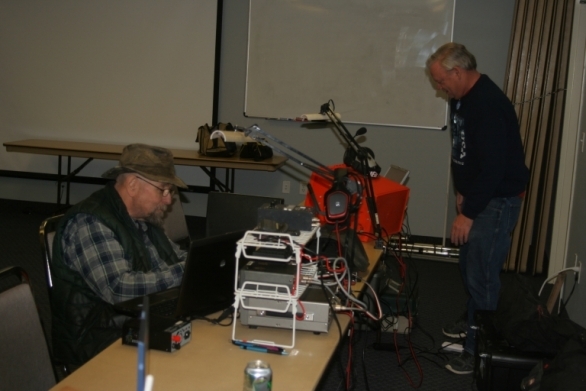 The operators were Steve, WB7VEQ, Bob, W7RLS, and John, KD7HGS. 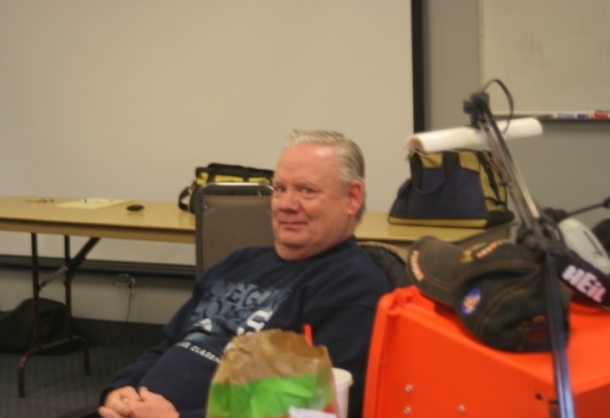 Above, Bob, W7RLS, taking a break. 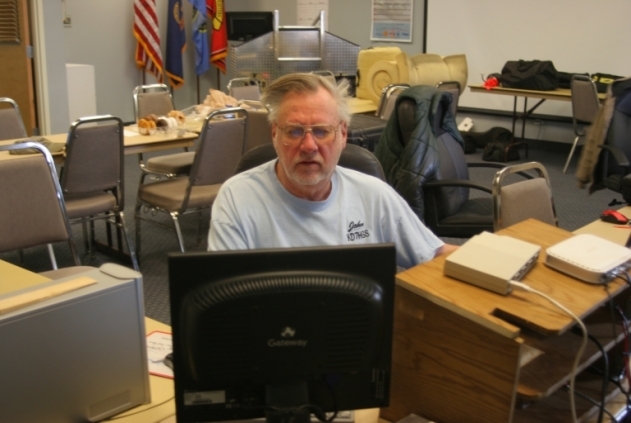 Below, John, KD7HGS, looking over the scores on the scoring computer. The final score was 3920. Not bad for the bad conditions we had. And after all that, we still had 2 dozen donuts left for the firefighters coming in on Monday Morning. Winner! ^^ The visitor table. Notice they are around the doughnuts and other pastries. I wonder why?? The vistors are, from left to right, Rick, KE7PNW, Tony, KI7TMZ, and Steve.